This is an index of catalogues held by forum members. Thats interesting, the one on the auction site is marked Farlows and Stour Otters' one is not marked. Possibly it's been dismantled and rubbed down? I think I perhaps detect some corrosion long since dealt with? Fishing is complete and utter madness. C. Farlow & Co Ltd.
A couple of recent acquisitions to add to the lists if you don't mind Sean. Albert Smith & Co Catalogue No19. 1939. Marco. Modern Tackle Catalogue No37a for Bottom and Sea Fishing. Wholesale & Export only 1933. This is mostly trade supplies of rods, poles and rod building parts. By the looks of it this is probably where most of the unnamed rods came from. Just a quick update on my catalogue collection.If anyone wants to sell any I have not got,you can message me. 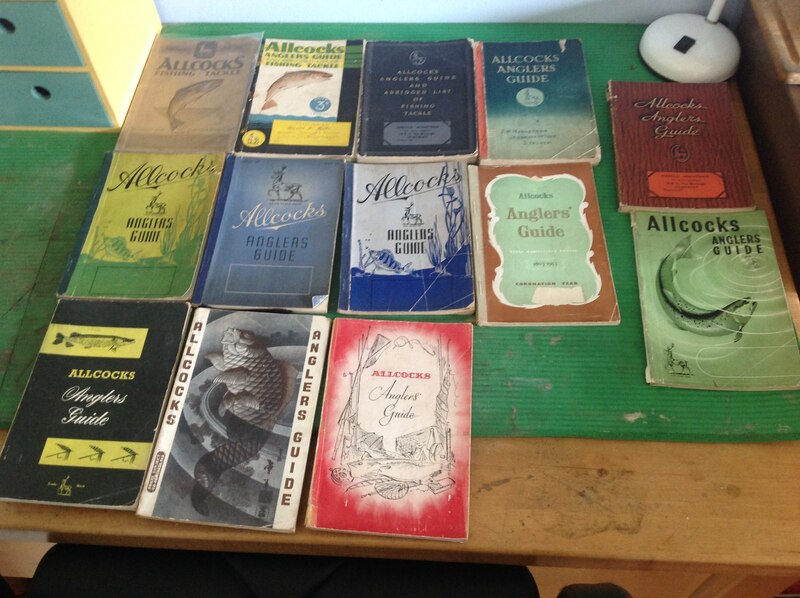 Hi Chaps, I have two J B Walker catalogs, a 1955 and a 1964/5 and also Traditional Angling Richard Carter Reel leaflets from 1997. Does anyone have an Allcock's catalogue listing the Trueform Baits. what year would that have been Stef? Stef, there is a couple on page 154 of the 1938/9 catalogue. Last edited by Wallys-Cast on Sun Dec 16, 2018 7:38 pm, edited 1 time in total.